We all have those old, boring, or even damaged furniture pieces that we are tired of looking at. Instead of replacing them with newer models, you can use paint to update and freshen your furniture, and it isn’t a difficult project! Painted furniture adds color and style to a room without having to repaint the walls, and gives the furniture pieces themselves unique personality. 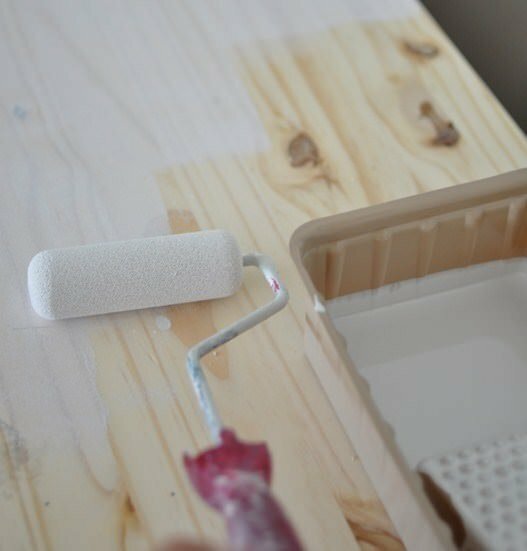 You can paint existing furniture, or scout out the thrift shops and second hand stores for some sturdy pieces that just need a little love… Here are some step by step tutorials to painted furniture makeovers, and some great inspiration. So, what are you doing this weekend? Prepare a work area, either outdoors, or a tarp in a well ventilated area, such as a garage. Lightly sand the furniture piece, then wipe down with a soft cloth. Apply a coat of primer. Let dry as recommended on can. Repeat if necessary. Allow the primer to dry thoroughly, then lightly sand again, and wipe off with cloth. Roll or brush on your chosen paint color. Let dry. Repeat. Thats it! There are numerous special paint treatments and looks, and below we’ve tried to give you not only some inspiration, but some links to some good instruction on how to achieve them. Most of all, enjoy showing off your creative side. 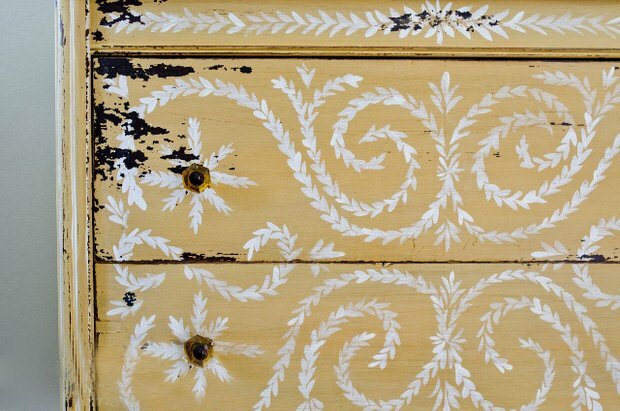 Marian at ‘Miss Mustard Seed’ has some amazing painted furniture projects. Ah-Mazing. 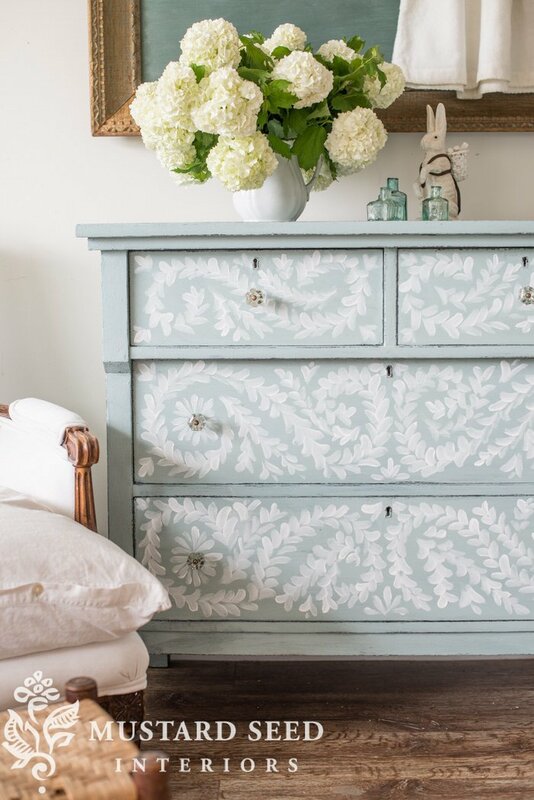 But this DIY hand painted robins egg blue dresser is heavenly. Spend some time at her site, you will be inspired. 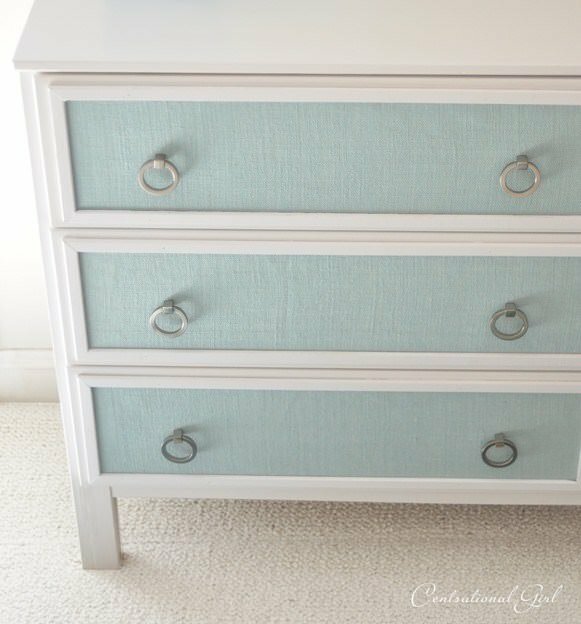 This textured panel dresser by ‘Centsational Girl’ is a little different take on the painted project, in that it adds this interesting detail in the panels that makes this project stand out. Great step by step tutorial. 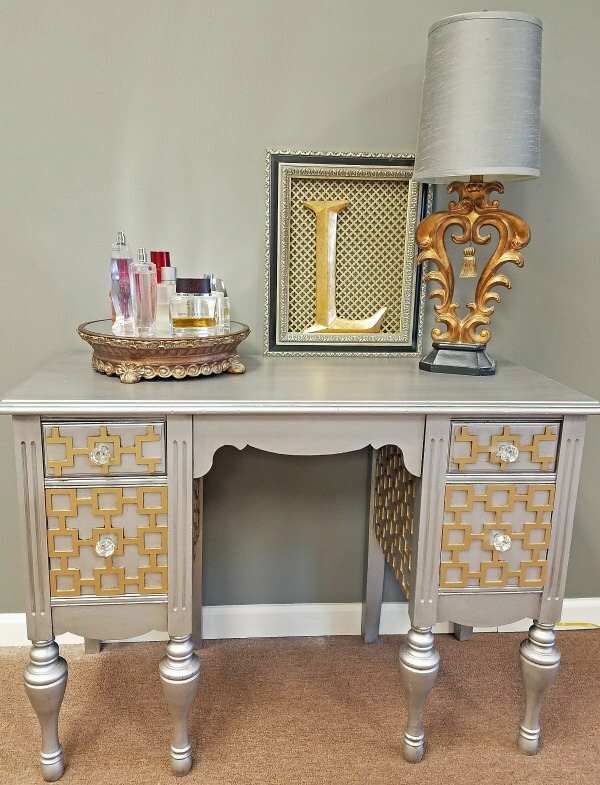 This quick and easy vintage furniture makeover took a $10 piece of thrift store furniture and turned it into this glam retro piece that I love! The fretwork is the secret here. By ‘Diva of DIY’.